Vespadouglas 3 weeks, 1 day ago. It’s good to have a general slot for these all-too-prevalent multi-purpose media events. The usual give-away is the vanishing helicopter, diminishing invariably to a tiny pile of charred scrap and the invariably surviving serial number or other identfying piece of uncharred fuselage. Decapitation of an ageing actor and one of two child actors by a helicopter, allgedly during shooting of a scene. The above footage is apparently that which was shown to the jury. Of course, the footage shows nothing of the sort. The accident led to legal action against the filmmakers which lasted nearly a decade,** and changed the regulations involving children working on movie sets at night and during special effects-heavy scenes. By way of contrast here is a recent 2014 “Helicopter crash” in the UK – a low budget affair with no Hollywood directors or actors. I think nothing happened at all. Another drill. Add your fake heli-crashes below…. Good idea, xilef. What are your thoughts, book form or encyclopedia? witnesess, air pockets, no sign of anyone falling. This double event in the same village of Old Catton near Norwich just jumps off the page from the last few months of the second world war. Many of the events reported are just not what they seem. appeared to be feathered and there were bursts of smoke coming from the number 2 engine. Things must have become serious as McArthur radioed the tower at the nearer Horsham St Faith airfield. He was instructed to circle until another aircraft was landed. Then, at about 13:56, flying at a height of about 400 feet, the aircraft appeared to stall, did a complete wing over, and spun into the ground. It crashed in the grounds of Catton Hall, near Church Street in Old Catton. and none of the crew survived, no reason was ever given for the crash. Does that make sense? The plane is on fire and they are told to circle..
. But from the official crash reports, 18 crew men died, not 20. There were no civilian casualties as a result of these accidents. How convenient that no names are listed, again unusually, on the memorial. Yes, where indeed is the plane? Dreadful weather conditions in the early part of February 1945 saw many operational missions into Germany cancelled. This offered an opportunity for training flights. A “feathered propellor” also featured in the previous “crash”. et house suffered leg injuries. Nowadays, she would be photographed having CPR done and tourniquets applied. Who was she? Eight killed outright, one walks, zombie like then drops down dead. We have the lucky escape theme – the alloted pilot has sinus trouble at altitude – have to laugh at that, perhaps he only flew close to the ground? Oh, another feathered engine. the aircraft turned over and crashed upside down in the garden of No. 14 Spynke Road, Norwich.Three children were playing in that garden, and Richard Kemp, the sole survivor, recalls the tragedy: “My twin sister Mary and our cousin Brian were playing among the raspberry-canes when I looked up to see that the sky behind my house had turned into metal, all silver-grey with black holes in it and it was coming towards us. There follow more fanciful witness accounts…and a photo of the expected memorial, this time with names. Earl Zimmerman, who was stationed at Hethel, had cycled over to Spynke Road that day to visit his future wife, June Courtney: “We were sitting round the fire at tea-time when we heard the plane coming over. Suddenly it happened – the sound of engines turning over at high r.p.m., a loud crash as the plane took off the top of our house, and a huge shadow passing by the window. I ran out of the back door and there was a lot of gas all over the place so I ran to all the neighbours telling them to put out all their fires.“The aircraft was such a tangled mess it was difficult to know where to look to find any survivors. About the only recognizable portion was a piece of the fuselage from the waist window to the tail. It was so mangled that I could not get inside, but some neighbours came running over and we eventually managed to get two boys out alive. We laid them out on the front lawn but one of them died. Some people from Horsham St Faith arrived and took the survivor away to hospital. We had not gone to Sunday school that day as my little sister had been sick in the night. Brian Jones (pictured at right), nine years old, was our cousin who died that day. Her recollection was that Mary was not injured but died from the concussion. We had always thought the navigator also survived, but I guess not. I do remember several years later we found a wedding ring in the garden and my mother returned it to the base. So that prevented a fire? The second crash – of the B24 Liberator A Dog’s Life – at Old Catton, Norwich, England on 13 Feb 1945, has some curious imagery. The roof-line of the damaged dwelling just looks all wrong. The roof pitch is badly distorted. Is it supposed to have a fully-pitched roof? Or a part-pitched and part-flat roof over an extension on the left? And yet fully-pitched on the right? If so, why is there guttering for a pitched roof, afixed around a flat-roof? The front wall of the house also doesn’t line up properly; an anomaly which the cloud of dust obscures. As intended, maybe. All suggesting that the images of the ‘crash damage’ are composite fakes. It looks like the facade of a superficially damaged house wall, with broken windows, has been taken from somewhere else. That image then layered, or pasted on top of the building that still stands today on the corner of Spixworth Road and Church Street, Old Catton. The accident debris at the front of the photo also looks dodgy, and the men in the crash scene don’t seem to gel together, nor fit into the scene properly. But it all helps to create the illusion of a major aircraft accident. It’s also odd that in the crash photos there are no windows on the right-hand side of the damaged house. We should see two windows; one up, and one down. Where are they? Compare the damage photos with modern images from Google StreetView, etc. Did they supposedly ease in two new windows, when the dwelling was ‘repaired’? Except we find, from a close-up view with Google StreetView, that the window apertures and the brickwork in the house today look original and unrepaired. Despite claims to the contrary from the author of oldcatton.com. He claims that: “Today, it is easy to see the brickwork used to repair the damage to the house in this picture“. Really? No obvious signs of repaired brickwork. The facade all looks old and original; laid with irregular or handcut bricks, including for the window sills and lintels. The “17th century” house to the right is famous for being the home of Anna Sewell, author of Black Beauty. In the 1950s (1940s too?) it was known as Beechwood. And was home to the Burton family. Back then, perhaps the Burtons owned the crash-damaged dwelling next-door, too? All the dwellings on that corner – either side of Beechwood house, appear to have been renovated at the same time; with the crash-damaged dwelling turned into two separate homes – Holly Cottage and Woodstock. Suggesting common ownership of them all at one time. Eldest son of the Burtons of Beechwood, a Mr Gilbert George Devereux Burton, was one of four longstanding directors of nearby Norwich St Faith’s Crematorium; built 1935. The crematorium has its own WWII history; a plaque in the chapel honours 30 Norfolk servicemen who lost their lives in battle and were cremated there. Although none from the nearby Liberator crash, it seems. Good point about the line of the building, Psyopticon.It is impossible to reconcile it with the current street view, which must mirror the historical layout of lane and house. I wonder if there are any old postcards still existing showing this tranquil corner? The broken windows look very fake. It reminds me of the photo of the Crockham Hill children’s home. I had flagged up my suspicions about the Munich crash narrative merely from inspecting the images of damage to the plane and the alleged hospital photos of some of the survivors which I placed on the Tom and Mojo chat post discussion. The above photo seemed to be a red flag on the above blog. The blogger makes an astonishing connection. The connection had never occurred to me, but it was obvious and hiding in plain sight all the time. Once I had done the research and realized Jimmy was based in Manchester in 1958, it became very obvious what it was that might be special between Bobby and Jimmy. How special, I could not have imagined until I found this book. The writer copies the paragraph from the book describing Jimmy Savile being the manager of the Plaza Ballroom in Manchester on February 6 1958 which was hosting the manchester Press Ball that very night and when news of the crash arrived, he closed the ballroom before the event. If anyone knows the evidenced truth of the reason for that moment, please feel free to let me know in my comments. Well, I am not going to comment there, but the writer can perhaps take time to analysed the images, which I ought to copy on this thread. Manchester was the second city to London for news – think the Manchester Guardian. Eight journalists from Manchester were said to have died in Munich. What possible “power” could the local Dance Hall Manager have over them? The 2012 Savile story is completely without foundation. I’ll leave the crash imagery until the next time. Great discovery, Felix, uncovering the link between Savile and the Munich Air Disaster; via his management of the Plaza Ballroom on Oxford Street, Manchester. The Plaza being the venue on the night of the Crash for the annual Manchester Press Ball. The Manchester press corp reportedly suffering 30% of all the losses in the Munich disaster. What relevance that Press Ball to the Munich Crash? Was the Ballroom like a psyop “nerve centre” for the whole operation? With Jimmy and colleagues officially putting up a “cancelled” sign, before locking the doors to tune in as the news coverage unfolded? Was the Ballroom similar to the role of control-centre that some attribute to WTC7 in the 9/11 hoax? As for Savile, I’ve often wondered about his knowledge of various psyops. Through his long-standing role as mentor at Broadmoor Special Hospital, home to Britain’s criminally insane. Did that work at Broadmoor expose him to some of the more grisly hoaxes of the day? Savile discusses and defends his work at Broadmoor in this 1988 interview; facing strangely hostile questioning over it: https://www.youtube.com/watch?v=vBZ8M0G0FRQ#t=11m30s Demonstrating surprising compassion, he’s also assiduously avoids mention of the most notorious Broadmoor patients. Over five decades, Savile developed an intimate relationship with the media; boasting press contacts throughout the country. A mutual relationship perhaps galvanised initially by that Munich incident, all those years before? Was Jimmy already a ‘safe pair of hands’, in the eyes of the media; already ‘onboard’ at the time of Munich? In Louis Theroux’s 2000 interview of Savile – which seemingly set the stage for his posthumous ruination – we see Jimmy breaking his ankle while out jogging in Glencoe. But rather than getting the wretched thing plastered-up ASAP, Savile is more concerned with securing the best press coverage first! See: 35m20s in http://www.dailymotion.com/video/x1ziq8u_wlm-s01e01-jimmy-savile_news A showman, aka media whore, to the end. Perhaps the Press came to think that without its help, Jimmy would have been nothing, and therefore felt it still owned him – even after his death? Eventually destroying his reputation in a posthumous psyop of his own? Live by the sword, you must die by it, too? I was wondering if that unexpected surplus ballroom food distributed in Didsbury might have led to an outbreak of Salmonella poisoning but since the crash occurred around 3.pm GMT it was probably consumed the same evening. Phew! Meanwhile, in the cabin, goalkeeper Harry Gregg was regaining consciousness, thinking that he was dead. He felt blood on his face and “didn’t dare put [his] hand up. [He] thought the top of [his] head had been taken off, like a hard boiled egg. “The silence on the aircraft was punctuated by a nervous cough, then a snigger. Johnny Berry shouted, ‘I don’t know what you are laughing at, we’re all going to get killed here’. Liam Whelan piped up, ‘Well, if this is the time, I’m ready’.”Gregg later related those prophetic words to Whelan’s family, who found comfort in them. “As I watched out of the window, the wheels began to lift off the ground. Then bang! There was a sudden crash and debris began bombarding me on all sides. One second it was light, the next dark. Gregg noticed light streaming from a gap in the fuselage which he climbed through on to the runway. He went back into the aircraft, remembering there was a baby on a seat, couldn’t find her, heard a cry and pulled her from the debris, got out and handed her to George Rodgers, the flight’s radio officer. On going back for the second time, he found the baby’s pregnant mother, Vera Lukic. Sitting on his backside, he pushed her towards the gap with his feet and she too was taken from the aircraft, suffering from a fractured skull and broken legs. Gregg, searching for Jackie Blanchflower, stumbled across Bobby Charlton and Dennis Viollett, and hauled them by their waistbands away from the smouldering wreckage. He then found Matt Busby, crying ‘My legs, my legs’, lying between the wreckage and the unoccupied house which the plane had crashed into. Then, at last, he discovered Blanchflower, suffering from a severe arm gash to which he applied a tourniquet. Hmm, some quite modern themes in there. What do we notice? He only talks about surviving players. There is no mention of any who are said to have died. We also have the hero theme, the baby and a pregnant mother. It could be from 2001. The two separate hard-boiled egg quotes need checking. all his video s have been removed from Nat Geographic. There are strangely no photos of Gregg in a hospital bed. On take off Thain opted against having the Elizabethan’s wings brushed free of snow and the plane began it’s trek to the runway. Gregg began to get really scared when he noticed how quiet the plane had become. “We set off once again and I remember looking out of the window and seeing a tree and a house passing by; and suddenly everything went black all of a sudden and sparks began to fly. I was hit hard on the back of my head and I thought the top of my skull had been cut off. “The plane went on it’s side, sort of upside down. There was no crying. There was just silence and blackness..
“Peter Howard, the Daily Mail photographer, was with Albert keeping him company. I ran round to the back of the plane and I found Bobby Charlton and Denis Viollet lying still. I thought they were dead and I dragged their bodies, like rag dolls, into the seats which had been thrown about twenty yards from the plane. I started calling out for Jackie. “As I searched for him, I saw the tail end of the plane ablaze with flames. I found Matt Busby, who was conscious, but holding his chest in pain, crying out “my legs, my legs. I propped him up and found Blanchie crying, with Roger Byrne lying across him dead. “Jackie’s arm was in a bad way and bleeding badly, so I tied a tourniquet on it with my tie. I pulled it so hard that my tie snapped in half but I managed to tie his arm with what was left. “Suddenly a man in a long trench coat arrived carrying a syringe. “I turned around and got the shock of my life for there was Denis and Bobby standing, just watching the fire. The death of Roger Byrne effected Harry Gregg profoundly, as roommates and friends Gregg felt a terrible guilt for not closing Roger’s eyes when he went to assist Jackie Blanchflower. Suffering from classic survivors guilt for over 40 years, Gregg refused to meet any of his perished friends’ families…. Harry Gregg is a real hero…. Albert Scanlon (winger) was 22. A player of great potential who suffered terrible head injuries at Munich. Recovered and played well for several years, scoring 16 league goals the season after the crash. The Aircrew warrant examination, certainly the two in the cockpit, one of whom apparently died as did a steward. 1946 – transferred to BEA on its foundation flying Oxfords, then Dakotas until 1947, then Vikings. On 6 February 1958 flew as second pilot on a special charter flight carrying the Manchester United football team home from Munich which crashed at Munich Airport in a snowstorm on take-off. Rayment was hospitalised with a broken leg and severe head and internal injuries. His leg was subsequently amputated but he died on 15 March without regaining conciousness. So a very very experinced pilot who had benefited from the war. One wonders why he was co-pilot on this charter flight. I have no idea how the writer came by all this. 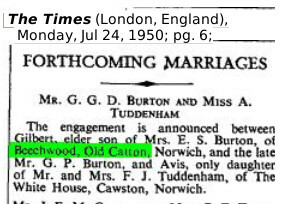 His wife Edith remarried only in 1990 and was again widowed in 2008 but seems to be still alive in Surrey. In 1958, the address of Rayment was given as The Sayers, Adversane, Billingshurst, Sussex. Steve Rayment [Stephen G Rayment, b 1948] – son of co-pilot Kenneth Rayment who lost his fight for life six weeks after the crash – will be presented with part of the wreckage by Stockport author Steve Morrin. The other pilot who survived was James Thain. But Morrin, in a new book on the crash – The Munich Air Disaster – points out that Captain Thain, rather than being the villain of the tragedy, was a hero, attempting to save passengers from the wrecked aircraft. It was only after a long fight that he was actually able to clear his name. Sadly, the struggle resulted in his untimely death from a heart attack in 1975, at the age of 54. Now a 57-year-old teacher with two grown-up sons, Sebuda was nervous when she received an invitation to tomorrow’s memorial. Sebuda has always shunned publicity and had no contact with United until recently. She is speaking out now to ensure the truth about the accident is remembered. What surprises me is how one pilot can be so badly injured and the other is rushing around helping save the passengers. A James Wood Thain is invoked, erroneously, on the wiki page. In marriage and in reported death he had no second initial. It is all wrong. Mr. Fay and his assessors, in accordance with their terms of reference, have, therefore, reported that in their opinion Captain Thain cannot be blamed for the accident. The offcial report is here, 121pp, where it is all put to bed nicely, 11 years to get all their ducks in a line; radio operator Mr G.W. Rodgers also puts in an appearance. I confess to finding it difficult to determine who James Thain was, and what his war record was. Now, is this the same William Thomas Cable, who as an aircrewman,escaped a fatal accident in 1938 near Ongar in Essex? Otherwise, Cable seems to pass unnoticed through the reports of the Munich crash. Putting Munich aside for a moment, here’s a hoaxy feeling helicrash which ties together several other threads, Jill Dando, the BBC, music and Football. A former BBC colleague of Jill, who fears reprisals if named, said: “Jill told me she was investigating the death of her friend Matthew Harding and money laundering claims. The source claims Harding first told a friend, Irish journalist Veronica Guerin, about his fears for football. But she was then murdered in 1996 while working on a drugs inquiry in Dublin. A panicked Harding is then said to have repeated his concerns to BBC journalist Jill. He was killed just four months later. The source added: “Jill told me she had begun investigating Matthew’s death and the concerns he had shared with her. Oh dear, oh dear, oh dear. How did those pieces of scrap get buried in that dense scrubland near Middlewich? A leaked copy of the accident investigation report says the crash was caused by pilot Mick Goss becoming seriously disorientated in low cloud and fog at night. Mechanical failure of the twin-engined Squirrel helicopter – used only three weeks earlier by Tony Blair – is believed to have been ruled out by air investigators in the report due out on Thursday. Earlier on the day of the accident, the Harding party had traveled to balloonist Per Linstrand’s factory on Oswestry in Shropshire before travelling on to Bolton. Mr Linstrand later said that flying conditions were poor and that “it was not a night to be flying in a helicopter”. When he was killed in a helicopter crash in October, 1996 he was worth more than pounds 125million…..
Strangely this obituary was published on the 15th anniversary of his ‘death’. It is understood Mr Carter’s teenage son Andrew was also on board. Cambridgeshire Police confirmed wreckage had been found at around 10.15am in woodland near Peterborough – and that all four bodies were found within the aircraft. Detective Superintendent John Raine said the helicopter was found largely intact, although some debris had been found in surrounding woodland. Let’s bring up the crash site photo. Woodland near Wansford. Not very convincing, is it? Mr and Mrs Carter were occasional churchgoers, said Canon Thomas Christie, who said he saw the couple, along with their two children, a teenage boy and girl, at Christmas. A former BBC colleague of Jill [Dando], who fears reprisals if named, said: “Jill told me she was investigating the death of her friend Matthew Harding and money laundering claims. I saw that one on DI. Wonderfully fanciful idea that celebutards, like Songs-of-Praise presenter Jill Dando, are maverick investigative journalists in their spare time! As if we need any more proof it’s bunkum, they dovetail the story of Harding into the Veronica Guerin murder; which, again, has all the hallmarks of another hoax. A psyop playing to the absurd and very dated idea of an all-powerful underworld of working-class gangsters ruling organised crime. Dublin’s answer to the Krays of the East End, or Untouchables like Moss-side’s “Mr Big” Paul Massey. Martin Cahill, “the General” of Dublin, and accomplice John Traynor. Cunning crooks, ever conniving; always one step ahead of the knuckle-dragging cops! Sorry, nothing to do with air disasters, real or imagined! A special number in aircraft crashes. Number 17. Isn’t 17 the 911 # in France? Yes, used to be (for the police) before they switched to 112. Many former French colonies still use 17. Psyopticon noted that this school has had a very unlucky record, with victims also crashes at Lockerbie , Ireland and France. My father was John A. Davis who was an executive with the Fluor Corporation at that time and I know one of his close friends son was with the Hart’s on that day. What strikes one immediately is how the trees all seem to be standing erect, with tiny pieces of scattered wreckage among them, and even hanging in the trees. the crash site looks exactly like flight 93 in shanksville on 911…………. and also that 18 members of Bury St Edmunds Rugby Football Club died. I lost my father, Gary Ray Chard, 41 years ago today in this crash. He was a husband and father of four children living in Paris, France. I was just a young ten year old boy. This disaster turned my family upside down. Below is a “lucky escape” story, dated April 2 2015, the kind of which we are familiar with. they were Dennis Arnold, William Cox-Ife and Ellen Quinlan. The small number of UK nationals on a flight between there and Ireland is unusual, especially since they were outnumbered by Swiss and Belgian nationals. The standard absence of helicopter parts. Princes William and Harry were in deep shock last night after a friend of the Royal Family was killed in a helicopter crash. [another victim] Mr Wooldridge was a keen polo player and active member of the Guards club, where the Prince of Wales and Princes William and Harry are regular participants. I think that seals it.